Crowell G. Bowers retired from the faculty April, 2007. He is currently an emeritus professor of the department after 27 years of teaching and research. He is a triple graduate of the department who began teaching and researching in the department after earning his PhD. Bowers has researched improvements to farm machinery continuing the long tradition of mechanization research for which the department is well known. Bowers focused on systems and controls for accuracy in the application of fertilizers, irrigation and pesticides. He developed a good relationship with the cotton industry and they supported much of his research with grants. He also received awards for a number of ASABE papers on the subject of agricultural mechanization. Bowers most important contribution to the department has been his ability to relate to students especially undergraduate students. He taught courses in the agricultural engineering concentration area imparting his expertise of mechanical systems and controls. He advised several student organizations through the years and assisted with the ASABE 1/4 scale tractor competitions the students are involved with. Bowers became the undergraduate coordinator for the department in 1995 and served as coordinator for 10 years connecting with many students and alumni. 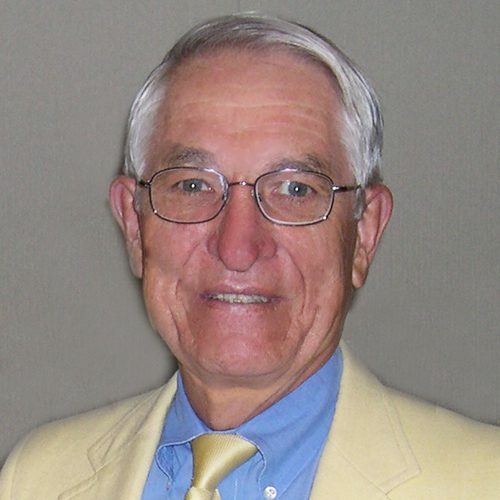 He has been the recipient of a number of esteemed teaching awards through the years. The awards have ranged from university level awards to simple gestures of appreciation by students. Bowers, C. G., Collins, C. A., & Harris, E. P. (2006), Applied Engineering in Agriculture, 22(6), 801–808. , (1997). Transactions of the ASAE, 40(2), 295–305. Bowers, C. G., Jr. (1989), Transactions of the ASAE, 32(5), 1492. Precision agriculture is being adopted to optimize crop yields, minimized their associated costs and reduce environmental impacts of crop inputs. Precision agriculture management is provided through variable-rate application of lime, fertilizers, pesticides, seeds and tillage. It is based on determining soil variability by georeferenced soil sampling/mapping, determining yield potential by georeferenced yield monitoring, and then using agronomic recommendations for variable-rate application of inputs. Smart soil sampling is used and is georeferenced with a differential global position system (DGPS). Soil sample locations are determined from soil texture, topography and crop yield. Among the latest developments in precision agriculture is the use of real time sensors to measure crop and/or soil characterstics and make on-the-go crop management decisions.